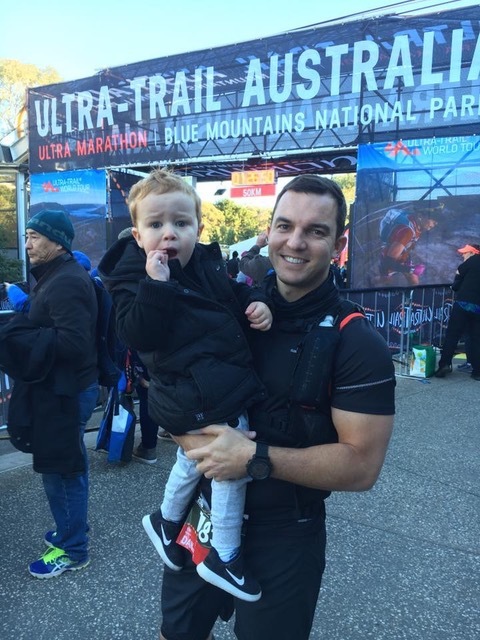 Our most recent Ambassador, Dan Parker was prepping for an Ultra Marathon 100km Run in the Blue Mountains on Sat 19th May called the Ultra Trail Australia 100, (it used to be named the North Face 100). As part of participating, he created a campaign called ‘Blisters for 100km’s’ journey supporting Wandering Warriors. His fundraising page set up via my cause, with all proceeds going to Wandering Warriors. On Saturday at 8 am Dan Parker stepped off to what he thought was going to be a long day and night but unfortunately stopped well short. At the 18km mark, Dan slipped down a 3-4m drop off whilst traversing under a large rock face which saw a lot of uneven ground. Lucky he didn’t do more damage than a groin strain and a bruised ego. He managed to hobble to the 32km Check Point.